Favourite cousins are the siblings you choose and Penelope Disick (daughter of Kourtney Kardashian) obviously chose baby True (daughter of Khloé Kardashian). Khloé shared some really really cute images of a playdate four-month-old True and six-year-old “P” had at her house. 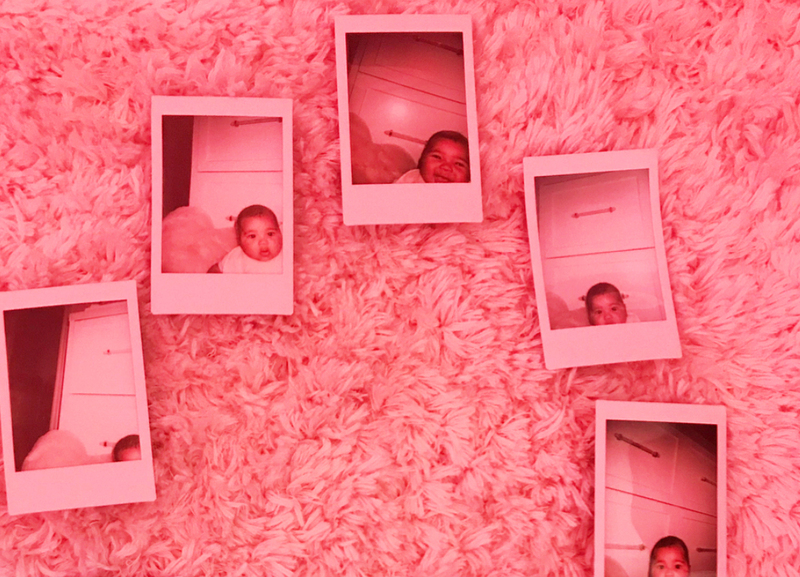 Armed with an instant camera, Penelope wasted no time snapping some very sweet photos of her grinning youngest cousin – and printing them out on the spot. A very stoked Khloé was quick to share P’s handiwork on social media, and it’s clear that True is equally besotted with her big cuz. The shots show both Penelope and True beaming for the camera/s and it’s the purest thing you’re going to see today. “Look at those cheeks !! Precious!” one fan posted – and gosh those cheeks are just super-squeezable! “They are both so precious, enjoy these moments before you know it they will be all grown up,” another posted. “That crib is GORGEOUS, where can I get it?” someone else asked. The US$4900 acrylic cot is by Nursery Works, Khloé’s previously revealed, dubbing it pretty but “still cool”. “I’m obsessed with True’s Nursery Works lucite Vetro crib!” the new mum wrote on her blog. This cousin playdate is not the only cute True glimpse we’ve caught over the last few days. Khloé shared a photo of a laughing True wearing a tiara informing her that they were besties and there were no bones about it. “You don’t know this yet but you’re my best friend for all eternity!” she posted alongside the shot of her delighted and chortling bub.